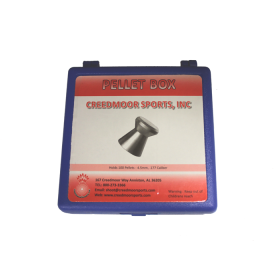 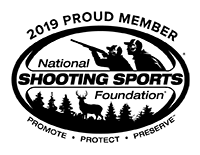 Blue Creedmoor Pellet Box, Everything Creedmoor: Creedmoor Sports Inc. This box makes it much easier than pulling pellets out of the tin. 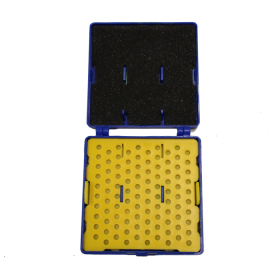 Compress the holder and roll the pellets until they drop in the holes. 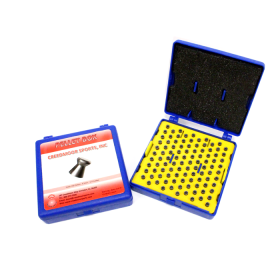 When you're ready to use them, decompressed the holder and the pellets are readily available to shoot 10s.